When your children come home from school with an expository writing assignment, your first thought as a parent might be, "Huh?" 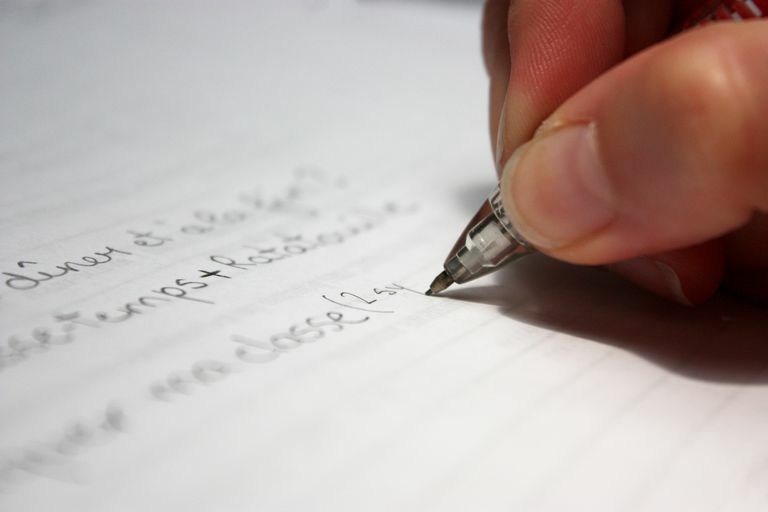 Expository writing is the moniker given to the kinds of writing assignments that simply used to be known as a report. And as such, expository writing, or writing reports, is simultaneously probably the most straightforward and the most challenging kind of assignments that kids will get in elementary school. Expository writing is used to describe, explain, define, or otherwise inform a reader about a specific subject. It’s devoid of opinion or unnecessary descriptive language. The ability to write in an expository manner is a component of many careers, and as such, it's an important skill for your child to master. Young students are typically taught to prepare expository writing by following a five-step model. For children just learning to organize their thoughts and write them down, the steps may consist of sentences. Older children may use paragraphs. The first sentence or paragraph of an expository writing assignment will convey the main idea of the piece. If it's a paragraph, it should include a topic sentence that conveys the thesis clearly, without taking a position or resorting to opinion. The following three sentences or paragraphs will contain supporting details to buttress the main idea. The fifth sentence or paragraph will provide a summary of the piece, or conclusion, often restating the thesis or main idea. Unlike other writing assignments that children may get in school, which are designed to inspire them to use words and grammar in a proper fashion, the expository writing assignment has an overarching goal in addition to correct grammar and spelling. Students must be able to organize their thoughts, follow a plan, and in higher grades, conduct research to support their thesis. Fulfilling these kinds of goals, in addition to spelling and using grammar correctly, asks children to think on multiple levels. In particular, children who may be adept at grammar and spelling may struggle with conveying their thoughts in an organized fashion. Younger children can be introduced to expository writing simply by having them write journalistically without forming opinions. The teacher might bring in a box of unfamiliar objects and ask students to describe them in writing. Descriptive writing is a great way to start students writing in a neutral tone. Children could compare opposites in writing, describing a summer day's activities versus a winter day's. For older children, the time-honored book report is a classic exercise in expository writing. Students choose a book and craft a thesis about or a position on it. A topic sentence might identify what kind of book it is, or the kinds of readers for whom the book may be of interest and why. Subsequent sentences back up this assertion. One good way to help older kids in their use of expository writing is to remind them to address the who, what, when, where, and why of the topic they've chosen. All five components may not always apply, but remembering to think about each of these aspects can help students write a compelling report.